We have all enjoyed open garden events, or heritage open days, but what about an opportunity to see some ordinary houses that have been worked on to save their heating and gas bills? 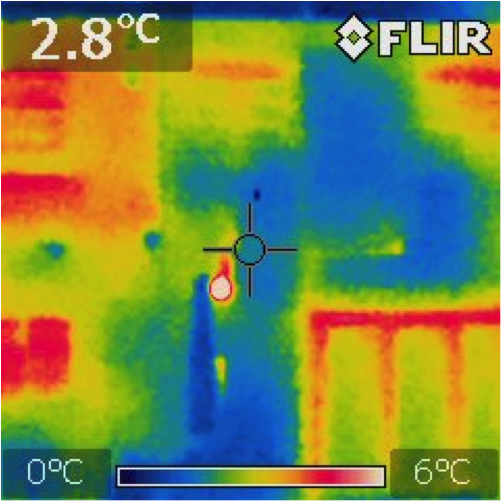 After Transition Wilmslow’s thermal imaging surveys of houses across the area in the spring, we have at least 6 houses opening their doors on Saturday September 22nd to give you a chance to see what anyone might do in their house and garden to save money, energy, and perhaps the planet too. There is nothing like being able to ask questions from someone local who has had to deal with increased gas and electricity costs, or wants to make greener electricity and some money in to the bargain, without talking to sales people. None of the houses on show is perfect, and we have a range of houses and types to give you something to think about, and perhaps get more people in the Wilmslow area to save more money in easy ways. Many of the houses have vegetable plots – and some have chickens too. From 11-1pm, Geoff Levermore will open his detached house at 20 Grange Park Avenue, Wilmslow to show people what he has learnt from solar hot water and electricity. Joy and Luigi Pagano on 50 Sagars Road, Handforth will welcome those who want to learn of their experiences with solar hot water and electricity. What’s been the benefit and things they have learnt from fitting things on the roof of their bungalow? At the same time, Andrew Backhouse and Frances Hill at 31 Vale Head, Handforth, will also be open to visitors. This is a 5 bedroomed 60’s end of terrace house and what seems to be one of the cheapest houses to run in Wilmslow. Wood burning stove and boiler, solar hot water, lots of insulation, and some simple things anyone can do. Garry and Amanda Olson, 27 Strawberry Lane, Wilmslow – a 60’s semi with solar electricity, wood burning stove, and vegetable garden with chickens. Pippa and Anthony Jones, 4 Fulshaw Ave, Wilmslow, – a Victorian semidetached house with some clever blinds, solar hot water and electricity, and another vegetable garden with chickens. And Chris and Philippa Frankland, Hillside Cottage, Mill Lane, Ashley will open up their award winning offices to see what can be done with local wood and reclaimed products.